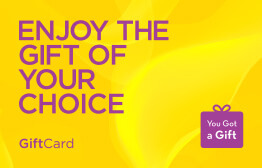 You can make life easier for the happy couple by offering them an eGift card from Babies R Us. With this gift voucher, they can buy unique items for newborn and infant such as strollers, car seats, educational toys and games. Another super option for both husband and wife is an online gift voucher from Loomi Photography! 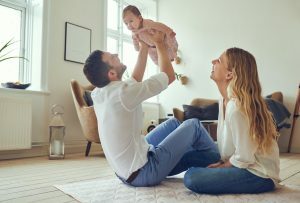 Allow them to remember this memorable and life-changing time by gifting them a card that lets them hire a professional photographer to take incredible photographs of their new family. Both of these options, and many more, are baby gifts Dubai-dwelling couples will absolutely adore! You may also choose to give the baby a toy that will stay with him as he is growing up and for a long period of his life. If that is the case, then you should definitely consider an online gift voucher from Toys R Us or Build A Bear. The first option is amazing as it allows the parents to purchase toys from the top brands around the world and the kids to keep that toy with them for a very long time. 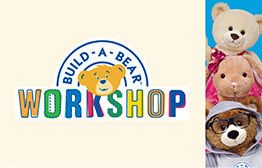 At the Build A Bear workshop, parents can create a teddy bear that becomes a lifelong friend for the newborn and can even make a wish while creating it! Another way to think about baby shower gift ideas is by celebrating the new parents who have come a long way to make this family. You can do so by gifting the husband an eGift card from 1847 and the wife a voucher from NBar! That way, they can take a few days off to simply take their minds off some of the stressful parts of having a baby. There are many other gift ideas that will prepare the parents for this new, stressful but rewarding life journey. There you have it: baby shower gifts Dubai residents and babies will love and cherish for a long time. After all, these small human beings bring so much joy and happiness in the lives of the people around them; why not make this feeling even more memorable and long lasting for them with these unique and exceptional gifts? We make it very easy for you as you can be carrying a gift in less than 3 minutes: all you have to do is choose a gift, enter an amount, add a message and hit the send button. It is that simple. 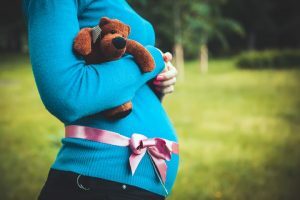 Next time you get invited to a baby shower, think of us and visit YouGotaGift.com for a range of extraordinary gift cards for both parents and babies. Remember: babies are gifts sent from above and must be cherished and loved. Do your part to cherish them. This entry was posted in Gifts for kids/babies, YouGotaGift.com and tagged Baby Shower Gifts Dubai, Baby Shower Gift Ideas Dubai, Baby Gifts Dubai on December 8, 2016 by Maria Najjar.